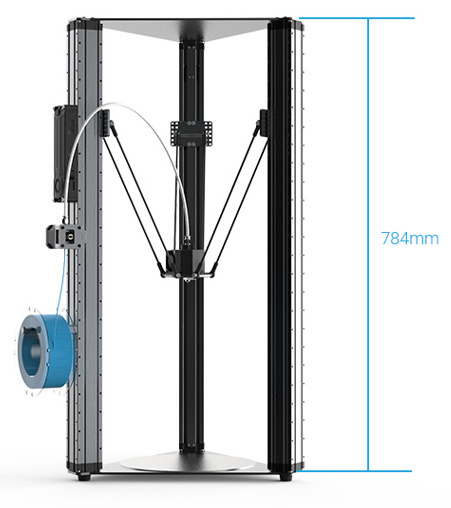 Do you think the taller 3D printer can be even better? How? Even though the taller 3D printer is much taller than the 3-in-1 3D printer, some of you may think it can be even better. Tell us what you think, so that we can see if it needs improvement. If you’re going to give this machine three different levels of printing height, the very least you could do to make it really versatile, is to include three different sized base plates so that the width and depth can also be increased. This would give you a printer that could create objects that are very small through to fairly large. If you can also keep the printing at a respectable level of detail (ie: fine) then you will start to have a printer that can serve many different purposes. As an extra add on, you may like to create a “clip on” part for the Mozaic (watch this - http://mosaicmanufacturing.us8.list-manage.com/track/click?u=0fcf43d374825a79a0cec76c6&id=376a40edf0&e=f392a5ec85) to enable multi-coloured parts. I agree with the points Les makes here. Having the ability to increase the build plate size for a larger print would be great. The ability to have dual extrusion for more complex prints would also open up a lot of creative potential. Hi Les @les8038 , thanks for your advice! The advice about different sized base plates is really helpful. It’s true that 3 sized base plates can open up 8 more possibilities if we offer 3 different levels of printing height. I will tell the engineers and see if it’s possible. About the multi-colored parts, they are useful too but takes more time to develop. I would say it’s in our plan but will not be developed in the near future. Hi @Neighmaker, dual extrusion is a good idea too! May I ask what would you make with the dual extrusion? Double-colored print or prints that need support or other things? What I had in mind for the dual extrusion was not necessarily multiple colors, but more complex and extreme angles in the 3d prints that would require support material. There are filament creators that have dissolvable support material which would be great to be able to print with. Yes, some printers use the dual extrusion to print support material and the dissolvable support material is really convenient. It’s a good way to use the dual extrusion. If you were to subcontract M3D, they could develop a Snapmaker-compatible QuadFusion for the delta layout.